Excellent Value Book Cover Design Service! If you are an independent author or small publisher, one of the biggest areas of stress is getting the right cover for your books. The well known saying - "Never judge a book by its cover" is completely wrong - EVERYONE judges a book by its cover. The cover is what sells the book - or, more often, fails to sell the book. Good designers are worth their weight in gold, and many of the best can charge their weight in gold too! I have found a great company that offers expert design services at unbelievably reasonable prices. They offer premade eBook covers from only £30. So if you are looking for a great book designer at a reasonable price - look no further. 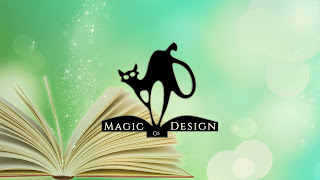 Just get yourself over to Magic Design Company - The Book Cover Design Experts.